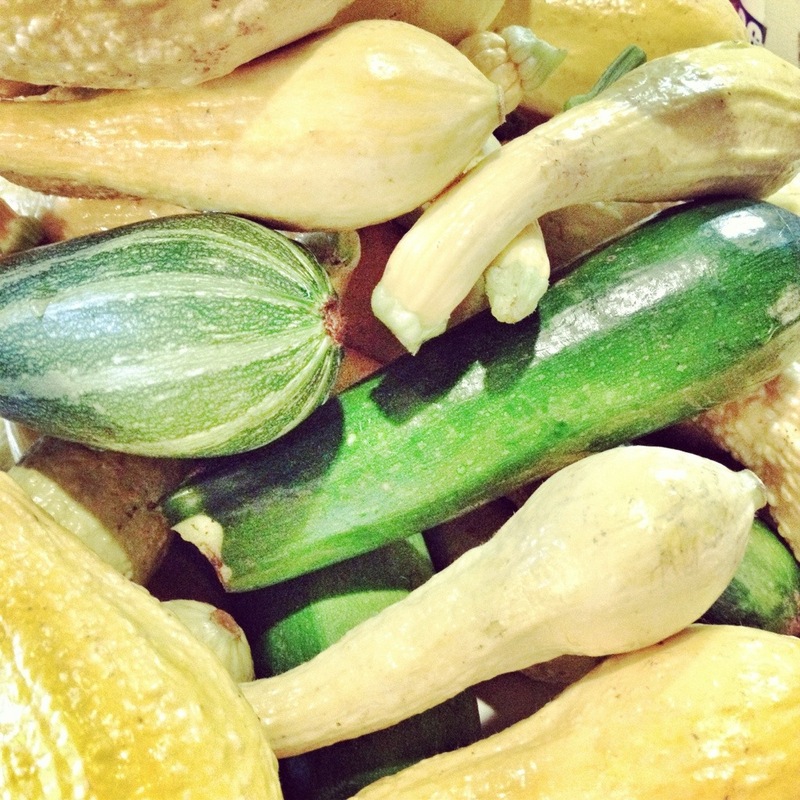 We’ve reached that part of the summer where we’re swimming in summer squash and zucchini! Good news! There are so many wonderful ways to fix it, and of course, if you simply cannot use it all, you can slice it up and freeze it for minestrone in the winter. We’ve been frying summer squash in a skillet in just a little bit of oil and eating it on the side of pretty much everything. Seriously, try it with your eggs, alongside your steak or even your sandwich. So yummy. 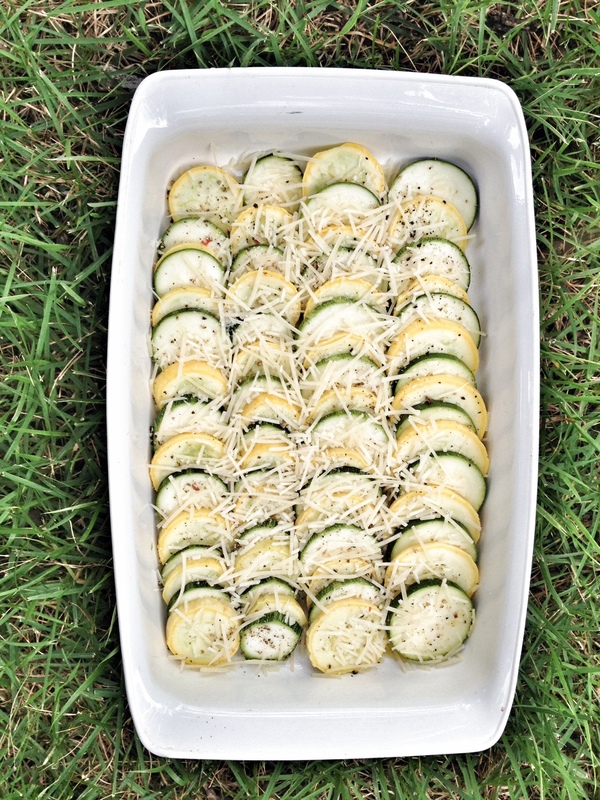 This simple summer squash bake has also been a favorite side dish at our house. 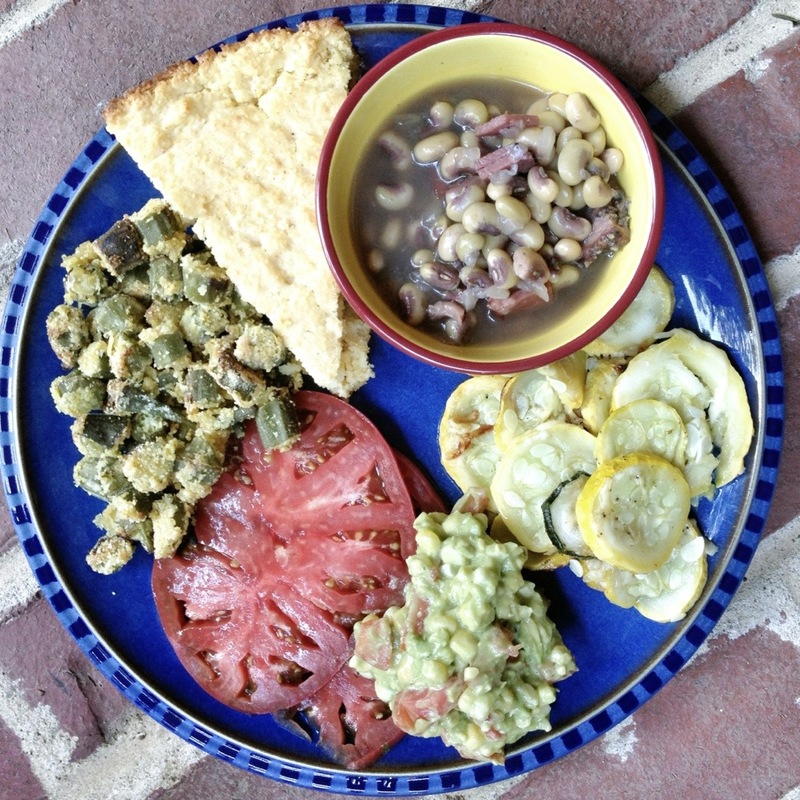 I added it to our perfect summer harvest meal (more recipes coming!) because it adds so much color to the plate of veggies! What’s your favorite summer veggie? Pour half the oil into a 9 X 13 inch baking dish. 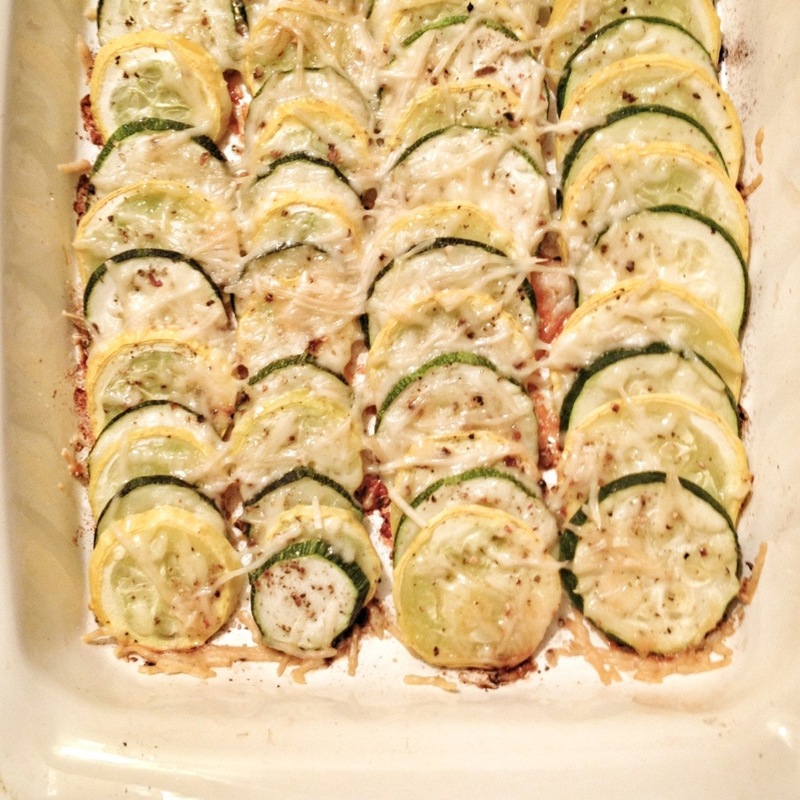 Layer sliced pieces of squash and zucchini in the dish. Drizzle with the rest of the olive oil. Sprinkle on the Parmesan cheese. Add salt and pepper.